Sea Otters, Seals, and...an Eagle? I love watching wildlife. Lucky for me that I live in Alaska where there is a good variety. So how do you feel about me sharing photos of recently spotted critters? The one below went swimming by our skiff at a pretty good clip. 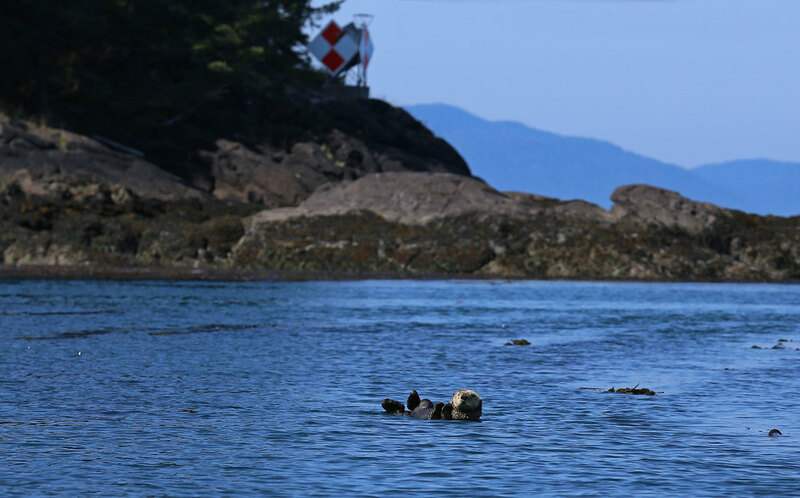 Sea otters move right along when they want to. 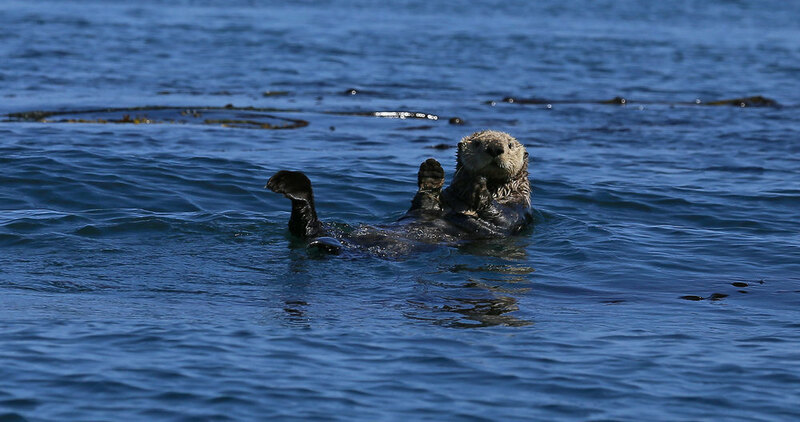 Most of the time, though, I see sea otters hanging out around kelp beds grooming and eating. No, eating and grooming. The fuzzy mug below chomps down over twenty pounds of food per day! Voracious buggers. I was standing very still at water's edge on Surf Point several years ago and a sea otter came within fifteen feet of me. It was foraging in the shallows, and I was amazed by the speed and thoroughness with which it turned every stone, and ate every snail, limpet, sea urchin, and chiton. That big otter looked pretty surprised when it finally saw me! And then it left quick-like. 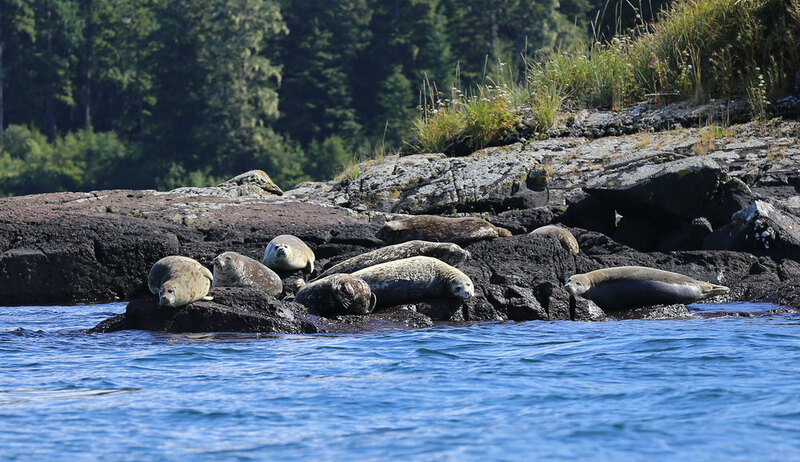 With otter populations exploding in Southeast Alaska, and otter territories expanding rapidly, people are talking about how to find a balance. We'll get there. There will be otters to watch and crab to eat...I hope. I don't have any close-up photos for you. These were taken with a long lens and cropped so that the otters weren't too pressured. Hey, they might be eating everything off of the bottom of the ocean, but that doesn't mean that I want to harass them. That said, I am not adverse to the thought of keeping my hands warm in the winter with otter mittens. It might seem like a conflict, but how many people don't want livestock to be tortured, and do want to eat beef? Over on the rocks, the seals are lolling about. They have to maintain that rolly-polly layer of blubber to stay warm in the cold ocean. Sigh, I wish for such a great excuse. A-ah. Basking in the sun after snacking on salmon. And then it is time for a dip in the Pacific Ocean. It always amazes me how many air-breathers live in the water. 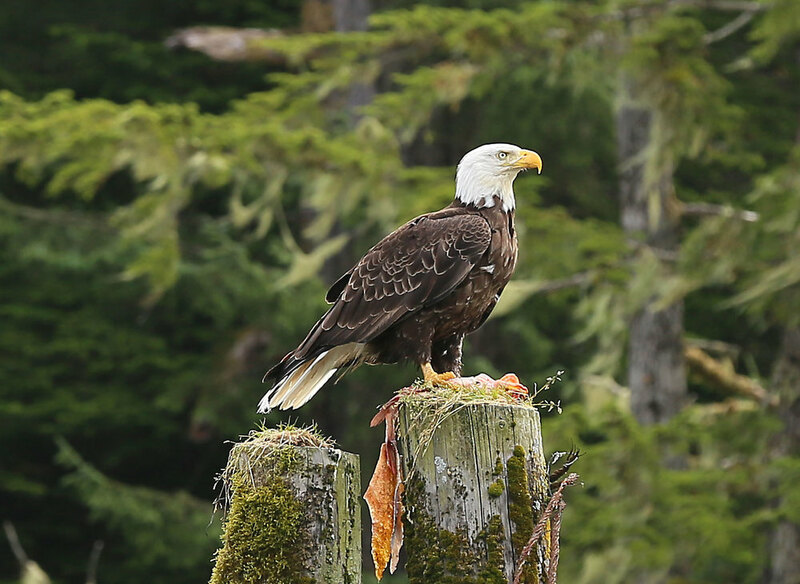 Back in the harbor, a bald eagle is trying to be stealthy; sitting on top of a piling with the remains of a fish that someone filleted. Me? You looking at me? Now for a few random critters just because they were there. Jellyfish. But its not a fish, so now they just call them jellies. I don't recommend them on toast. 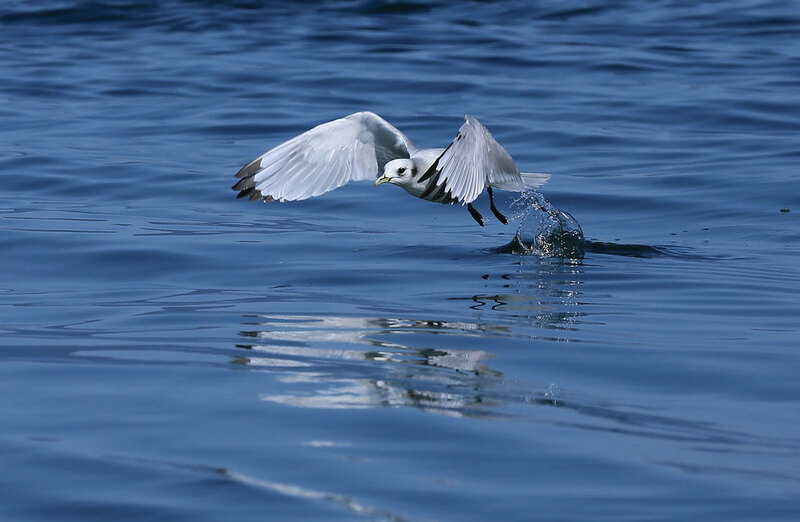 A murre not taking off. There's lots more wildlife in the Alaskan Critters index! All of the photos above were taken near Point Baker.